Published: Dec. 23, 2018 at 06:13 p.m. Published: Dec. 23, 2018 at 02:10 p.m. 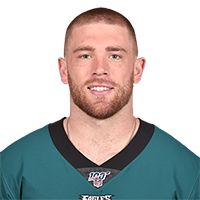 Published: Nov. 25, 2018 at 02:28 p.m.
Philadelphia Eagles tight end Zach Ertz dodges multiple New york Giants defenders for a 15-yard touchdown reception.